Lance Cpls. 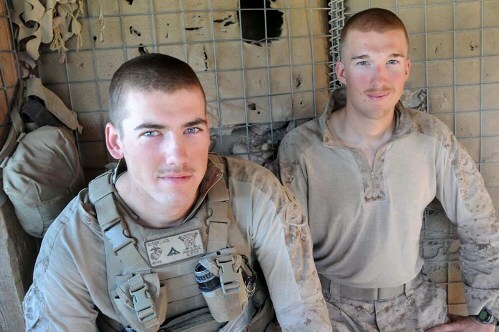 Jacob Bisek and Danial Buzalsky, members of Baker Co, 1st Battalion, 8th Marines, narrowly escaped serious injury from a grenade attack on April 15th in the Sangin District of Afghanistan. FOB Fulod in Sangin, Helmand on May 08, 2012.